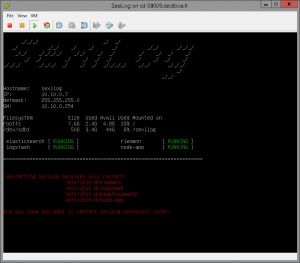 By default, SexiLog is published with 2 hard disks. The first one is dedicated to the system and host / mount point. 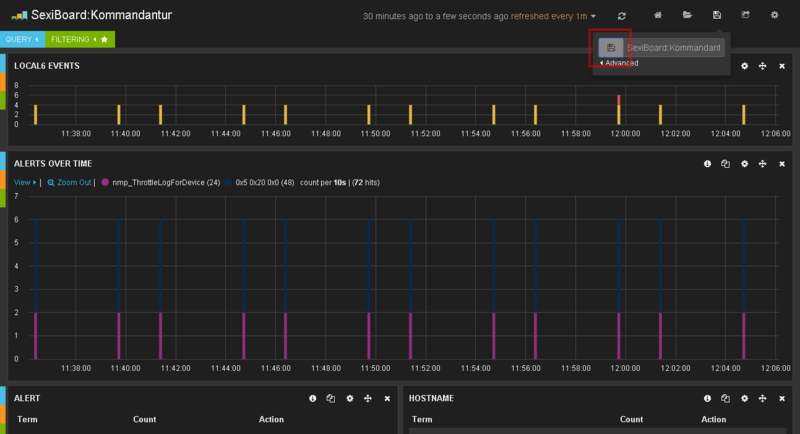 The second one (50GB) is dedicated to /sexilog and is used to host all elasticsearch, logstash and kibana data. 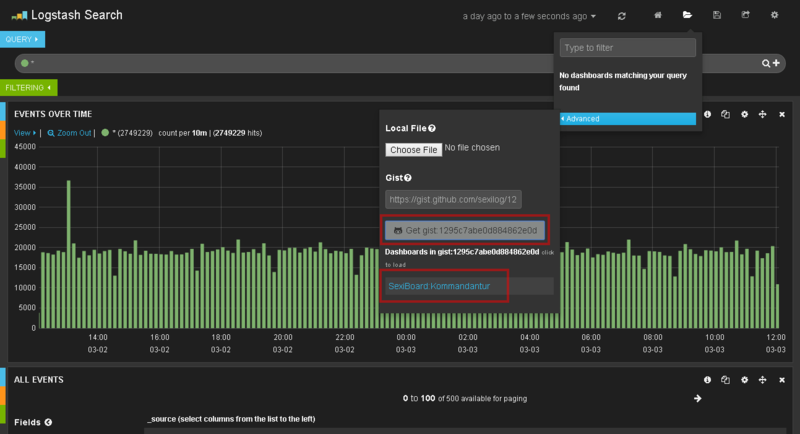 Curator is used to purge elasticsearch shards in order to limit data growth. If you have extended hard drive that hosts elasticsearch data, you should update Curator settings as well in order to reflect these changes. You just have to update the parameter --disk-space 10 to specify the limit (in GB) elasticsearch shards should be limited to. SexiMenu have been built to make appliance’s common configuration steps easier. 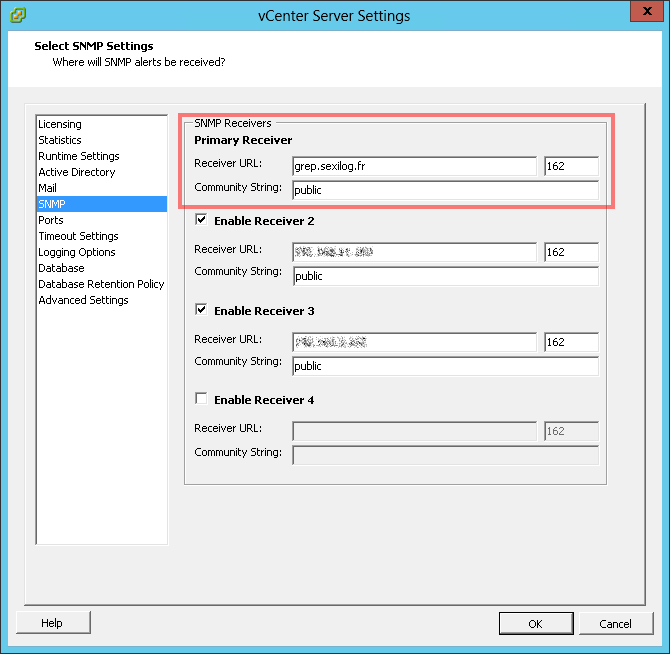 It’s automatically launched when connecting to the appliance (through SSH or console) and feature some pre-defined actions like restarting services, or updating network settings. In Kibana’s toolbar, click the icon, then hover over the Advanced option. In Gist number or URL input field, enter the URL of your dashboard Gist (provided on each SexiBoard page). To open the custom dashboard, click Get gist:<gist-id> button. 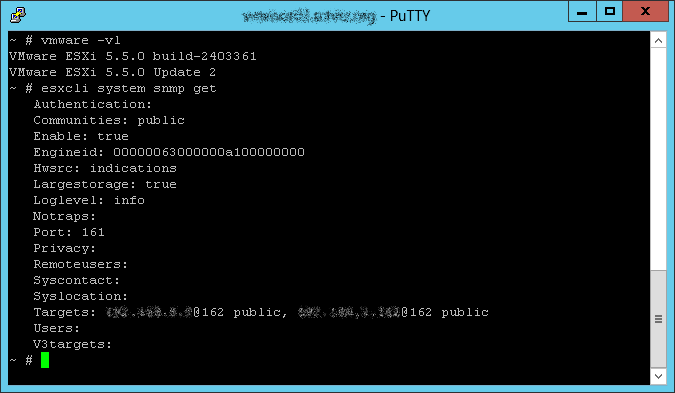 To load the dashboard, click the dashboard name below the Gist ID button. 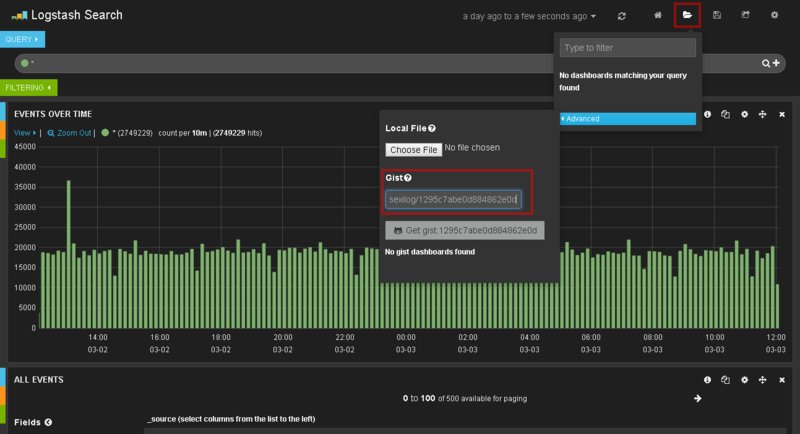 We thought we should explain why SexiLog is provided with Kibana 3 instead of Kibana 4 (which was released on February 19th). There are several reasons that explain it, one of the main is that IMHO Kibana 3 is easier to apprehend for most of users. 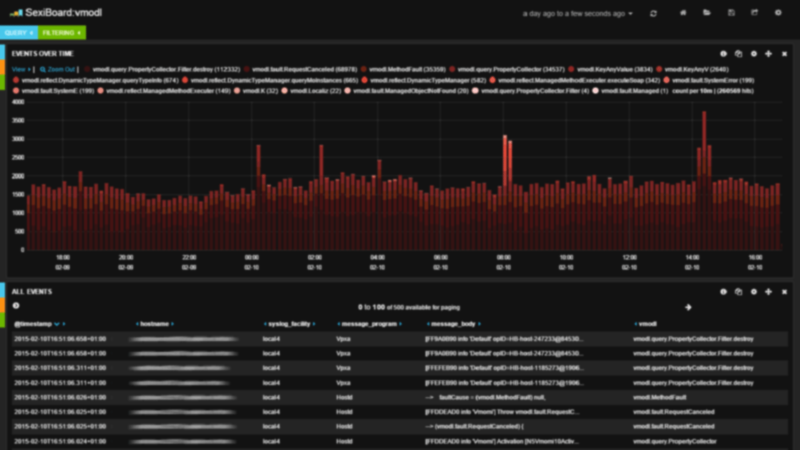 Also Kibana 4 was released as we were working on SexiLog launch, so we didn’t want to postpone it while we redesigned all the dashboards for the new branch (which is a complete redesign from scratch, much better, but very different in conception ). 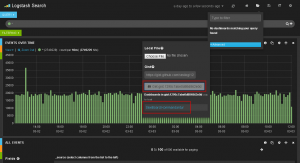 We prefered to stay on Kibana 3 branch and release SexiLog for you ! But as Kibana 4 is the new production branch, rest assured that we work now on making new SexiLog update with Kibana 4 dashboards ! Sexilog is loaded with 2 awesome and very useful Elasticsearch plugins Head and Bigdesk. Go to http://your_appliance_fqdn_or_ipv4/_plugin/head and http://your_appliance_fqdn_or_ipv4/_plugin/bigdesk or try the demo.